Work together as a team and support one another as you leave your normal comfort zone. 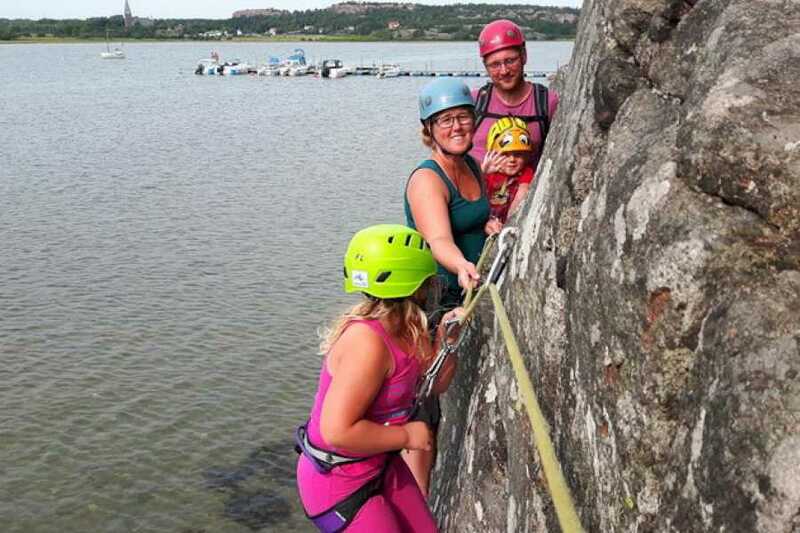 You will walk horizontally on a narrow shelf and climb vertically on a waterfront crag. Requirements: God shoes with hard soles that stays tight on the foot during the scrambling part of the tour. We walk along the waterfront on a path no one ever treads. All participants assist each other finding suitable foot holds in a supportive mode. This is an activity that is suitable for extended families as well as work teams looking for ways to bond. 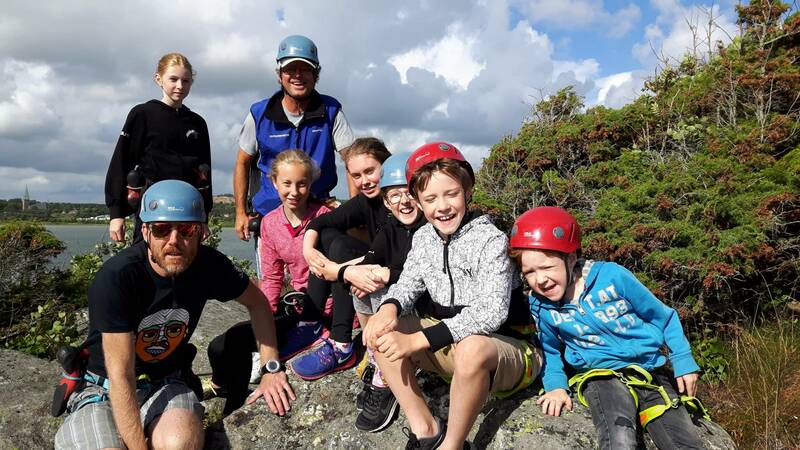 The tour ends with everyone who wants having a go at top rope climbing - belayed by the guide. 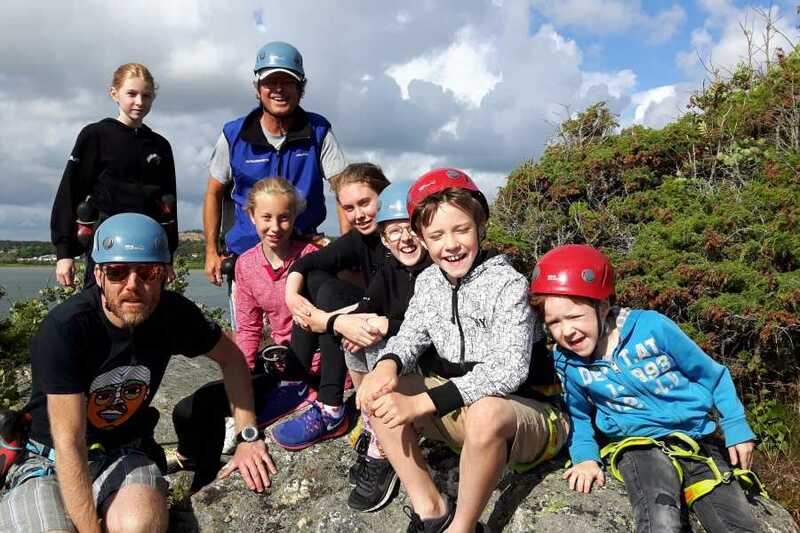 Unless you receive last-minute (1-2 hrs in advance) information about where to start, we meet by the reception at Trellebystrands Camping, 4 km off the centre of Lysekil.